Back to the Future is one of the most beloved films of all time. Xennials grew up with the film and fell in love with it. Robert Zemeckis caught lightning in a bottle when he and Bob Gale brought this story to the big screen. Back at the 1986 Oscars, Back to the Future walked away with a statue for its Special Effects. However, few people realize that it was also up for Best Original Screenplay, Best Sound, and Best Original Score. Quite impressive for a science-fiction comedy. And then the sequels came out. Back to the Future Part II and Back to the Future Part III were filmed back-to-back and released in 1989 and 1990, respectively. The sequels hold a certain amount of charm. However, some fans think they simply don’t live up to the magic of the original. Some fans just flat-out dislike Part III. It is, of course, true that the sequels aren’t as good as the original. Very few films are. But they have some wonderful aspects to them that help keep the Back to the Future franchise one of the best Hollywood has ever seen. 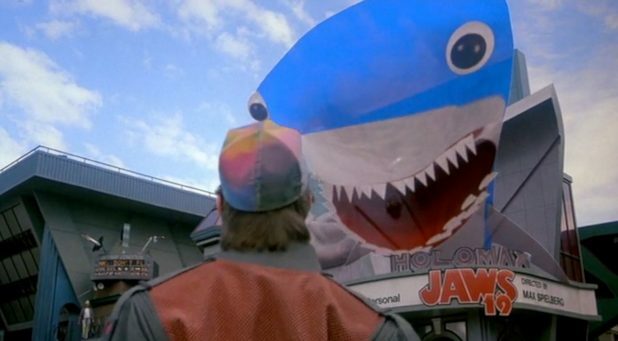 Here are the 10 great things about the Back to the Future Sequels. 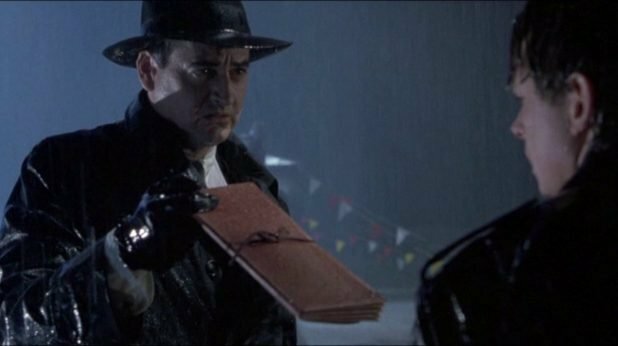 In Back to the Future Part III, Marty finds himself stranded in 1955 with only an 1885 letter from Doc explaining their situation. 1885 Doc has buried the DeLorean in the old Delgado mine and left schematics for Marty in 1955 to fix it. What results is arguably the most fun iteration of the Time Machine. It dons a hood full or CRT tubes, resistors, and bulbs…pure 1950s technology. However, the icing on the cake has to be those outrageous tires. The DeLorean went through many changes throughout the franchise, but this Frankenstein version has to be the most creative. This is a great joke. It pays homage to Robert Zemeckis’s friend and producer, Steven Spielberg by having his son, Max Spielberg as the director. Also, even though it is a bit ahead of its time, it is a cynical joke about the lack of creativity in Hollywood and the overabundance of sequels. Jaws 19 seems like an absurd amount of Jaws movies, but there are many franchises that are well on their way to that number. When the John Williams score starts and the hologram starts stalking Marty, it is a great interaction. Perfectly capped off with the perfect Shark still looks fake! 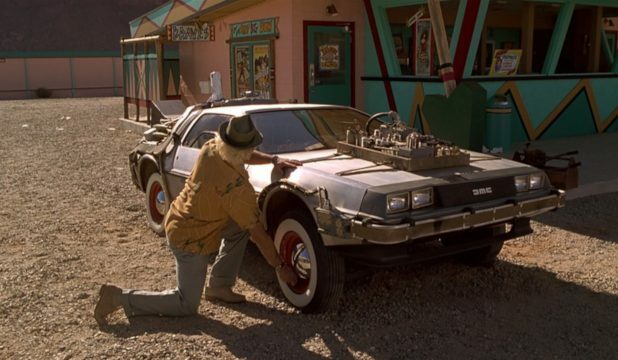 Back to the Future is a classic because it has almost everything. The comedy, the science-fiction, the action, and the non-traditional love story. Part II had none of the romance, just wall-to-wall zaniness that is brilliant in its own right. It wasn’t until Part III that a new love story was brought to the forefront. 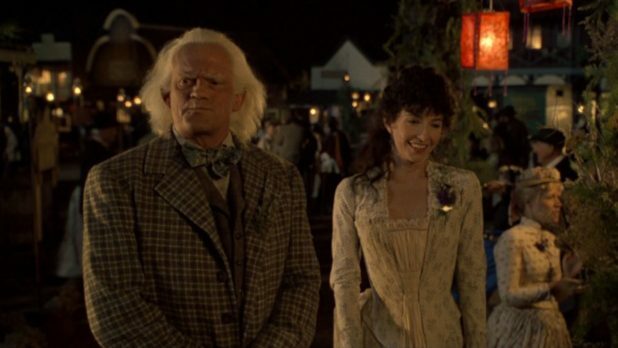 Doc is given much more depth of character when he becomes infatuated with Clara, played by Mary Steenburgen. Setting the age difference aside, their chemistry and puppy-dog affections really put an incredible amount of heart into the franchise. Before, Doc was just a manic, insane genius. In Part III, he is a gentle soul who wants more out of life than just time travel. From the moment Western Union arrives to deliver the 70-year-old letter to Marty, you just know the franchise is going places. There’s only one man who can help me. That line and the smash-cut to the classic clock tower sequence gets the adrenaline running in such incredibly way. Then Marty arrives to talk to Doc, who faints. To Be Concluded. The pacing, the music, the editing, and that final addition of a Back to the Future Part III trailer? Brilliant. It so perfectly underlines the magic and passion this franchise has injected into its fans. 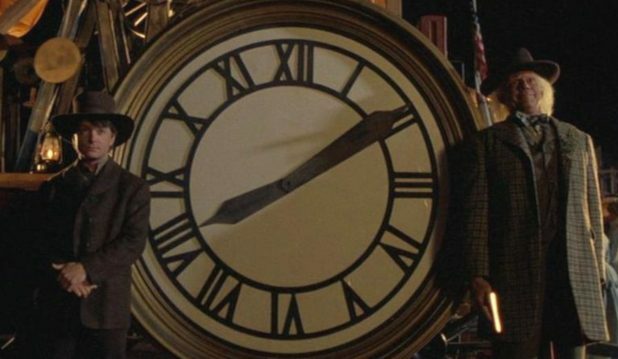 The success of Back to the Future Part III hinges on the brilliant use of every Western cliche. Robert Zemeckis brought every trope known to man into the proceedings. 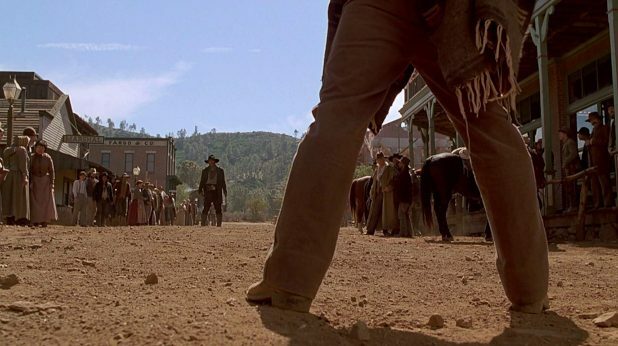 The films of John Ford, John Wayne, and Sergio Leone are all represented, but it all comes to a head when Marty and Mad Dog Tannen have their showdown in the middle of town. We have all seen this situation before, in a million movies, but because of Part III‘s genre, this had to happen. We would have felt cheated if we had not seen Marty and Mad Dog drawing pistols. The twist is a beautiful callback to Part II, showing Marty noticed A Fistful of Dollars playing above Biff’s hot tub. SPOILER ALERT! 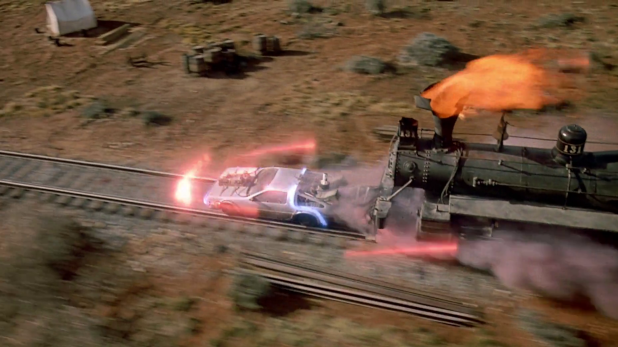 After Marty gets back to 1985 at the end of Back to the Future Part III, a train destroys the DeLorean. We are meant to believe that Doc is gone forever. Though, in 1885 bliss with the love of his life, Clara. 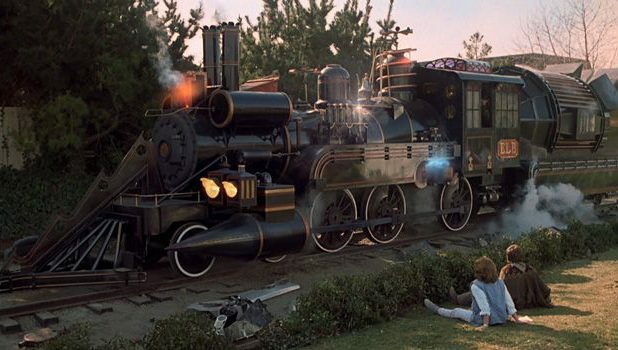 Not until Marty and Jennifer return to the wreckage that Doc arrives in a steampunk, Jules Verne-style, time-traveling train that runs on steam. It is a bit ostentatious, but the design of the train is wonderful. Then it takes off, wheels turned in, only to fly into the camera as the final shot of the franchise. It comforts us to know Doc will continue to travel through time. It is just sad that we don’t get to see it. In a perfect callback to the original Back to the Future, Marty crosses Griff and his lackeys in 2015, and sets off the chase through the town square. 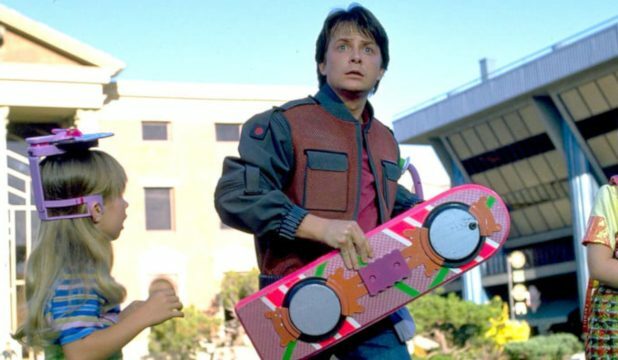 The difference is, instead of a skateboard, Marty gets the hoverboard. In doing so, Marty inspired the imagination of every 80s kid in the country. They all hoped they’d see a hoverboard under their Christmas tree in the near future. The beats are essentially the same, perfectly acknowledged by Old Biff’s There’s something very familiar about all this, but that doesn’t make it any less exciting. When Marty gets caught on the water and Griff takes out the Pitbull, it all climaxes in a disastrous crash. Though, no manure this time. The Clock Tower Lightning Strike sequence is a masterclass in editing, action, music, and pacing. However, the finale of Back to the Future III, where Doc and Marty hijack a train to push the DeLorean up to 88 mph, actually tops it. There are so many levels of excitement. Doc and Marty actually hijacking the train. The boiler pressure gauge on the verge of blowing up. What’s more, they only have so much track so that windmill point-of-no-return is always imminent. Clara is also in pursuit. Then Doc has to climb out onto the train to get in the DeLorean. It is almost unbearably exciting and not only is it the climax of Part III, but it is a perfect climax to one of the greatest franchises of all time. In a huge way, Thomas F Wilson is the MVP of the Back to the Future sequels. In the original film, he portrayed 3 versions of the famous villain, Biff Tannen. First, he was a 1985 bully who used George McFly to do his work reports. Second, in 1955, he portrayed the high school bully to absolute perfection. Finally, in the improved 1985, he is the poor schmo who has been relegated to waxing the McFlys’ cars. Then came the sequels, and Wilson went into overdrive. 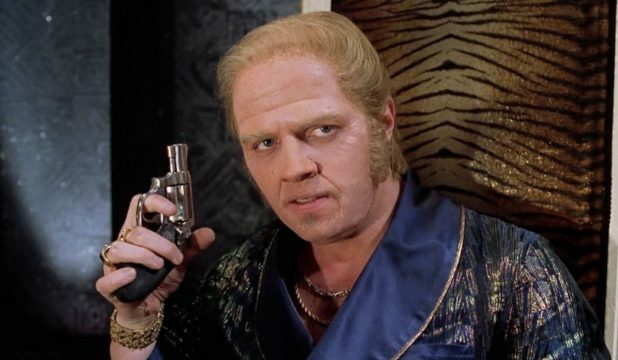 In Back to the Future Part II, he tackles the roles of the Old 2015 Biff, his grandson Griff, the alternate 1985 Trumpian Biff, and the 1955 Biff again. In Part III, and most impressively, he portrays Buford Mad Dog Tannen. Each and every one of these roles is perfect. The Show all the different nuances to one of the 1980s greatest cinematic antagonists. The post 10 Best Things About the Back to the Future Sequels appeared first on ComingSoon.net.